Shawn Nairn has opened a new kind of pharmacy that fills prescriptions in a way that lessens the possibility of patient or caregiver error. 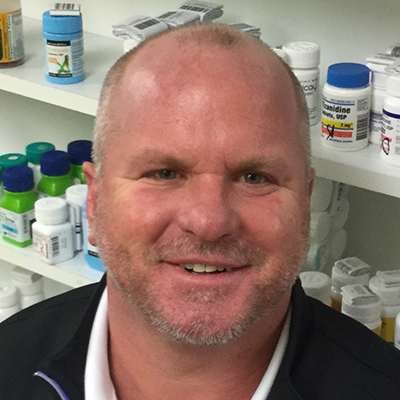 A 1992 graduate of the School of Pharmacy, Nairn owns two Hometown Pharmacy locations in the Pittsburgh area and recently launched ACORx (Adherence and Compliance Optimized), a pharmacy that is dedicated to improving patient outcomes via enhanced compliance and ultimately lowering overall healthcare costs. "We offer compliance packaging in weekly cards filled by our team, delivered to your home," Nairn said. "It is for those patients taking five or more medications who need some help in managing their medication regimens." The statistics are alarming, Nairn said. More than 30 million Americans are taking five or more maintenance medications daily; however, approximately half of these patients are not taking their medications as prescribed. In response, ACORx manages the process for the patients by offering a solution to instill greater confidence in their own, or loved ones', daily medication regimen. Using Adherence Medication PAKS, pharmacists at ACORx clearly organize multiple medications in an easy-to-follow format, ensuring accuracy of the medication type and dosage. The pre-filled card from the pharmacy provides instant visual reinforcement of what medications to take and when. Not only is Nairn applying his Duquesne education in his endeavors, he also is inspiring future generations of Duquesne pharmacists. "I am very proud of Duquesne and the work they do," he said, adding that three graduates and several student interns are currently on his staff. "Duquesne pharmacy students are out in front and the curriculum is always changing. We take what they have learned and we continue to teach them in a way that is practical."